New Delhi: The President of India, Shri Pranab Mukherjee yesterday (April 28, 2017) received His Excellency Mr. Nicos Anastasiades, the President of the Republic of Cyprus at Rashtrapati Bhavan. He also hosted a banquet in his honour. 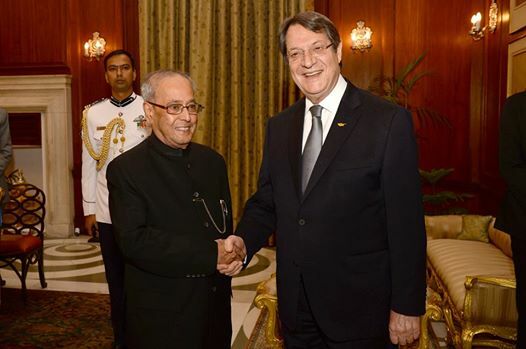 Subsequently, in his banquet speech, President Pranab Mukherjee said that India lauds the economic recovery of Cyprus under the leadership of Mr. Nicos Anastasiades, particularly its return to a positive rate of growth – among the fastest in the European Union. 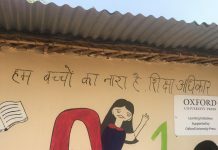 In recent years, India has seen rapid economic progress – despite the global slowdown – and achieved a steady growth rate of about 7%. We welcome Cyprus to take advantage of our flagship programmes like ‘Make in India’ and ‘Skill India’ – and join India’s growth story. Our information technology sector as also our renewable energy, natural gas and hydrocarbons, sustainable tourism, infrastructure and health and wellness sectors are open for partnerships and foreign investment. The recent signing of the revised Double Taxation Avoidance Agreement is a good step in this direction. The President expressed confidence that this State Visit will result in new initiatives in all these areas of immense potential.